This easy Almond Joy Fudge is seriously fool proof! Don’t feel like a nut? 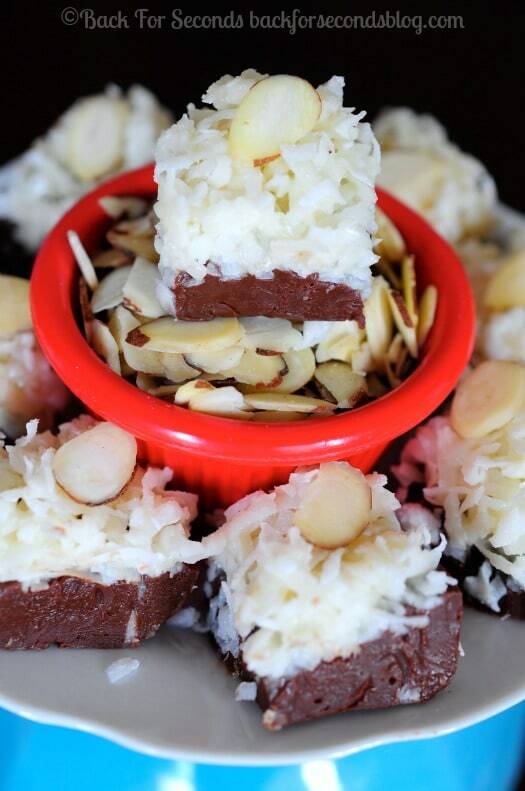 Leave off the almonds to make Mounds Fudge. 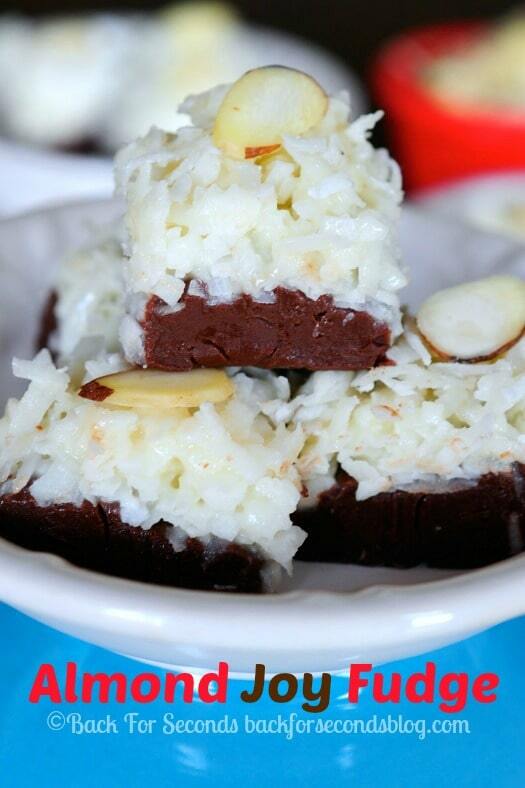 This fudge recipe is totally irresistible! Remember when I made these 4 Ingredient Homemade Mounds Bars? They are going pretty crazy on Pinterest right now. And for good reason. They. Are. Amazing! That recipe got me thinking that another version of Mounds (or Almond Joy) candy needed to happen. The time is now, friends. I present Almond Joy Fudge: ridiculously easy to make, and it tastes crazy good! This is fantastic!! Oh my gosh. Love that top layer.